How Many Weight Watchers Points Is That? 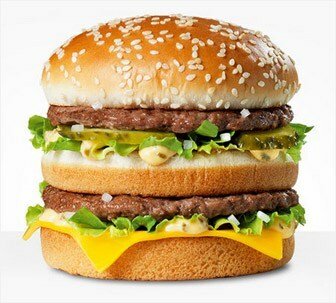 A Big Mac has 14 weight watchers points, quarter pounder with cheese 13 and a KFC chicken 9. So what is Weight Watchers Points? Weight Watchers Points plan is a hugely successful commercial weight loss program that focuses on balanced low fat nutrition, exercise and group counselling. Every item of food has a Weight Watchers points value based on its nutritional content. Dieters are assisted by a Weight Watchers points "calculator" and recipes provided by Weight Watcher Points program. All members are encouraged to attend group discussion and counselling sessions at local Weight Watchers centres to assist with lifestyle changes. The Weight Watchers Points program also provides online support and online points menus and calculators. Weight Watchers have produced their own line of cuisine which may be purchased independently at most major grocery chains. There is a one-time registration fee and a weekly fee. All foods are assigned a points value based on the Weight Watchers Points system. This is dependent on the serving size, the number of calories, the amount of fibre grams, and the amount of fat grams in the food. The higher the fat grams, the more points in that food. The higher the fibre grams, the less points. The amount of points each dieter should have daily is based on their body weight, and how much they are trying to lose. A study published in the Journal of the American Medical Association (JAMA), funded by Weight Watchers, found people who followed the Weight watchers Points program for two years lost an average of six pounds. Diligent participants - who attended at least 78 percent of the weekly meetings - lost an average of 11 pounds after two years on the program. The average weight loss amongst Weight Watchers Points participants "is not very much in comparison to what people hope they will lose, or what people need to lose in order to reach the desired, svelte self," reported study author Dr. Stanley Heshka. Heshka suggests that people who need to lose a significant amount of weight fairly quickly for medical reasons may want to opt out of Weight Watchers Points program and similarly structured programs. However, this does not mean Weight Watchers Points system holds no benefit. While, on average, participants lost only small amounts of weight while enrolled in the structured Weight Watchers Points program, some lost much more, with the maximum amount of weight loss reaching around 50 pounds. The structured program "seems to hold advantages over trying to lose the weight by yourself," Heshka said. For people who are not yet obese but are experiencing an increase in weight, or have a family history of problems that can be aggravated by excess weight - such as heart disease or diabetes - Weight Watchers Points program may have a significant impact on health. Many people often skip breakfast or lunch, believing this will help them lose weight. Consequently, the body turns into starvation mode and slows down the body's metabolism rate. As a result, any fattening food that is consumed gets stored as fat. Weight Watchers Points system is a good program, which balances proper nutrition, counselling and exercise. Dieters are never left hungry or feeling lethargic - in fact, dieters often report they are eating more on Weight Watchers Points program than normally. The food consumed is just more nutritious. There are many testimonials from people who are happy with Weight Watchers Points program, and they DO have a good diet program. Dieters are also able to keep the materials (which are very good and informative), and are able to try to do-it-themselves without going to the meetings. Weight Watchers is one of the good guys in this industry of pill pushers and unscrupulous "experts." The Winning Points Plan does an effective job of teaching portion control and educates the dieter on what nutritional value certain foods have. It is the program to choose if you feel you need face-to-face support. It takes the fuss out of losing weight. Dieters have the freedom of choice - there is no off-limits food and it is flexible enough to use every day, even if you have a very busy schedule. Although the Weight Watchers Winning Points Plan has its merits, it relies too heavily on gimmicks. They advertise aggressively in order to convince overweight people that they can lose weight without sacrificing the foods they love. They advertise with Sarah, Duchess of York, trying to convince overweight people that they can lose weight without sacrificing the foods they love. However, this is only achieved by allowing dieters to have calories that should be consumed on healthy food with very small portions of potentially unhealthy food. This strategy gives the dieter a false sense of the real nutritional changes they need to make in their lives for long-term success. If one seriously wants to lose weight and keep it off, they need to think more comprehensively about the foods they eat without the confusing points scheme. The program also does not put a priority on exercise - which is essential for long term health and weight control. On average only 5% of dieters succeed beyond 5 years in keeping off the weight. This is achieved through long term therapy which can become very expensive and can potentially prevent the development of self-reliance and self-discipline. "I was practically obsessed with food all the time. I had to weigh, measure, count, keep track of everything I put in my mouth. Not only was this too much work, but it made food even more of a priority than it was before. I know this sounds a little odd, but I wanted to eat MORE when I was dieting, because I was always thinking about food." Dr. Catherine DeAngelis, editor in chief of JAMA best describes the Weight Watchers program, "
while Weight Watchers and similar programs may work for some people, they clearly don't work for everyone. Programs have the best chances of working if they feel natural to the people following them, otherwise the weight loss is too difficult to maintain. It works as long as you stay with it." SOURCE: Journal of the American Medical Association 2003;289:1792-1798,1833-1836.